In fact, Professor Andrew Appel and grad student Alex Halderman took just seven minutes to break into the authentic Sequoia AVC Advantage electronic voting machine Appel purchased for $82 online — one of the oldest models, but still in use Louisiana, Pennsylvania, New Jersey, and Virginia, Politico reported. After Halderman picked the hulking, 250-pound machine’s lock in seven seconds flat, Appel wrested its four ROM chips from a circuit board — an easy feat, considering the chips weren’t soldered in place. Once freed, Appel could facilely replace the ROM chips with his own version “of modified firmware that could throw off the machine’s results, subtly altering the tally of votes, never to betray a hint to the voter,” Politico’s Ben Wofford explained. Their efforts have gone largely ignored for 15 years. But now, thanks to the explosion of controversy from revealing documents hacked from the DNC — and as-yet unproven accusations of Russian involvement — Appel and his colleagues’ persistence has finally garnered the attention it deserves. If primaries were successfully rigged through corporate media collusion and behind-the-scenes coordination between the Democratic National Committee and Hillary Clinton’s campaign, voters will certainly wonder what’s in store when they cast ballots using deeply-vulnerable electronic voting machines. Now that attention has been given to the ease with which a number of popular, still-employed voting machines can be compromised, officials and voters alike have expressed grave concerns about the upcoming election. Electronic voting machines hit the U.S. electoral process in full force following the ‘hanging chad’ controversy in the Bush-Gore race in 2000, in which ballots had to be hand-counted. 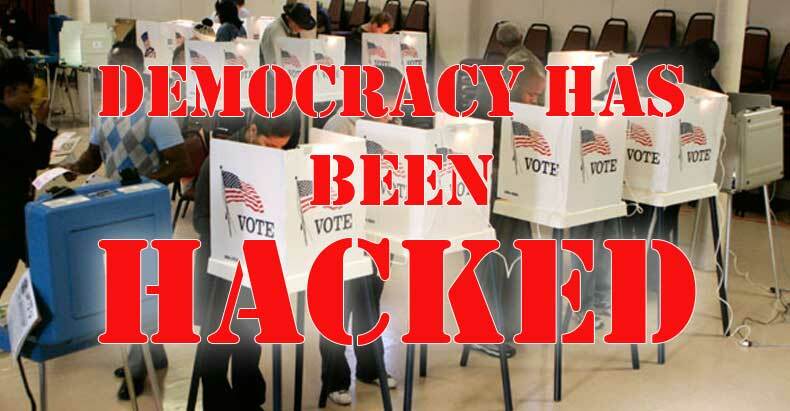 Ludicrous pictures inundated the news, showing elections officials assiduously examining paper ballots to determine if partially-punched choices equated actual votes in the tight race — a scene officials hoped electronic voting machines would avoid repeating. But those machines presented notorious problems of their own. Because this electronic equipment is now horribly outdated — some machines’ manufacturers no longer offer tech support — and considered, in large part, a ‘failed experiment,’ much has been phased out for better options. But not completely — and those better options still can be easily tampered with, according to Appel and his team. Indeed, the issues with electronic voting methods are too voluminous to recount in a single article, though Wofford does provide a thorough, albeit lengthy, summary here. As voters prepare to putatively choose the next American president in November, tales of rigged elections — from the primaries to the presidency — continue to top headlines across the country. With the sheer mountain of political funny business already evidenced this year, electronic voting machines don’t offer anywhere near the sound comfort of retribution the voting public craves.